Even though the Pariser Platz is located right next to the Brandenburg Gate, I would consider it a sight of its own. 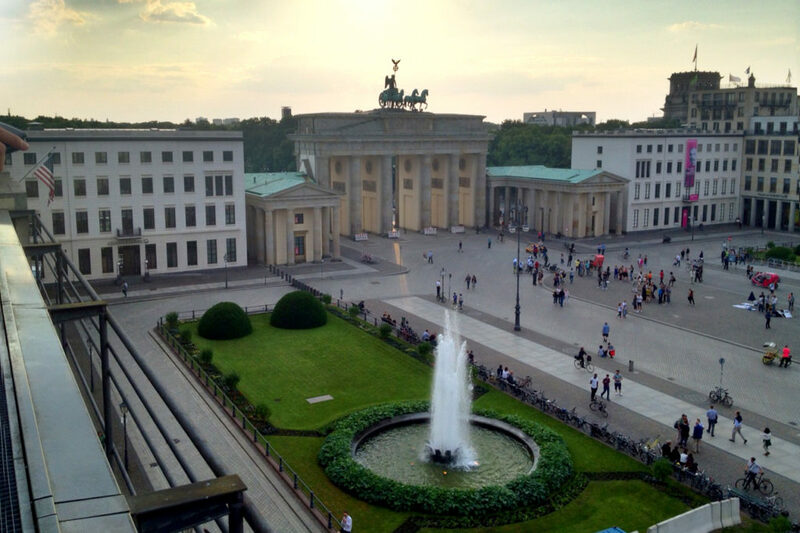 There are just too things to discover – and of course the Brandenburg Gate is one of those things. But the Pariser Platz is so much more, than just the Brandenburg Gate. First of all, you have the iconic five star Hotel Adlon right at Pariser Platz number 1. Then there is also the Academy of the Arts, the U.S. American embassy, the French embassy – and right around the corner you’ll find the British embassy. These four importatnt institutions alone promise already something. But let’s begin with a view back in history. The Pariser Platz marks the end of the boulevard Unter den Linden. Like the Gendarmenmarkt it was mostly built in the seventeenth century, although until 1814 the square was simply known as Quarré or Viereck – which would mean the Square or the Rectangle. The square was renamed to Pariser Platz when in 1814 Prussian troops along with other allies captured Paris after the overthrow of Napoleon.